Parish Government offices will be closed Monday, Nov. 12 in observance of Veterans Day. The Parish limb pit will also be closed, however, the Parish-wide bin sites and compactor stations will be open for regular operating hours. 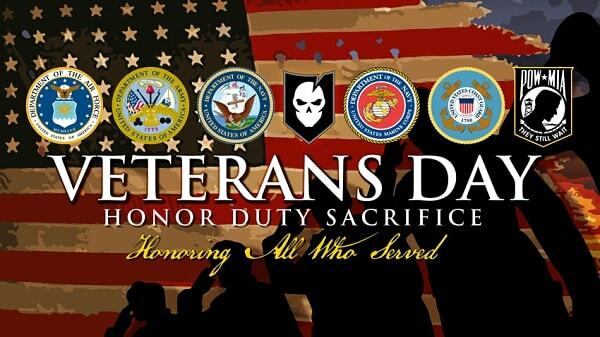 Questions about Veterans Day closures may be directed to the Parish Government offices at (318) 352-2714.